For thirty years, I’ve been waiting for this month. 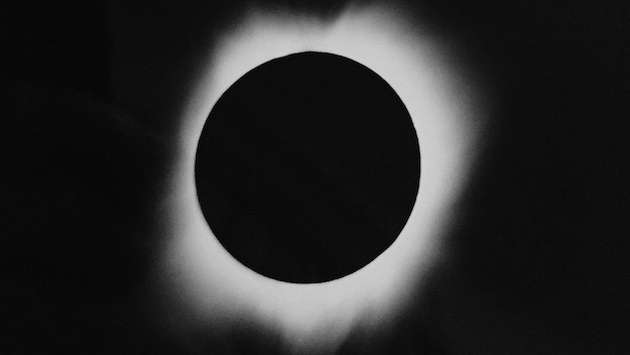 An avid amateur astronomer as a teenager, I became enchanted with the idea of seeing a total solar eclipse. I saved up money for years—to the bewilderment of my father—and journeyed to Mexico in 1991 to see my first. I saw another in the far southern Caribbean in 1998. It was all to catch a few all-too-short minutes under the shadow of the moon. Once you see a total eclipse, you’re hooked. It’s like the best drug on the planet. You have to know when the next one is. I knew that the twin American eclipses coming in 2017 and 2024 would be epic. And here we are, almost to the first one. It’s pretty strange now that this weird fascination I’ve had for most of my life is the subject of news media every evening. Even some of my closest friends didn’t know I was obsessed with eclipses, and now it’s become a commonplace topic. A lot of people, especially those in the media, have been broadcasting the idea that you’ll still see 85% (or whatever) of the eclipse from states that aren’t on the center line of the eclipse. While that’s true, it’s somewhat disingenuous. Partial eclipses are more common, easier to encounter and thousands of times less interesting than a total eclipse. They’re a so-so first date compared to your wedding day. Things that will blow your mind happen as totality occurs. The shadow of the moon rushes over you, the wind picks up, the temperature drops, all of twilight is compressed into a few scant minutes: Birds and animals become confused; there’s a sunset glow all around you; the sun shrinks into a tiny, impossibly bright diamond—and then winks out. Suddenly, it’s like someone turned the light switch off and the graceful, gauzy solar corona winks on, like a magical glow-in-the-dark decal on the ceiling of your childhood bedroom. Again, the point is that NONE of this will happen outside of the 70-mile wide band of totality that stretches from coast to coast. Find a way to get inside it. This type of event is pretty unprecedented in modern history. We’re used to things like hurricane evacuations, where tens of thousands of people are desperately trying to get off a barrier island and drive far away to safety. But the concept of maybe millions of people trying to get to a thin strip of land in the center of the country simply doesn’t have any good comparisons. What’s more, no one really knows how many people will wake up that Monday morning, throw the family in the car and figure they’ll drive a few hundred miles to see the show. On eclipse day, people are prone to freak out about the weather. I’ve stressed out about some morning clouds in the past, only to have the skies clear as forecasted. But if there is a huge section of the country that’s definitely going to be clouded in, what will happen if, say, everyone gets the idea to drive west on I-40? That could post a lot of backups. Gas up, bring along a cooler of drinks, snacks and protein bars—and remember to pack your patience. I say this as a photographer myself and an active social media user. Everyone will want to take what amounts to an “eclipse selfie” (or twenty! ), but try and resist the urge. The amazing thing about totality is experiencing it with your own eyes. It is the one time in this life where you really feel like you’re a part of the celestial mechanics of the solar system. Nothing—no argument, no law, no government—can do a thing to change this event from marching forward for even a second. It puts you in your place in the universe in a way that nothing else quite can. During totality, the sky appears unreal. The eclipsed sun looks like someone poked a hole in the sky, and you can see the true blackness beyond. You’ll get chills, you may cheer, or you might shed a tear at the wonderment of it all. But only if you let your eyes experience it in totality (pun intended), and not from behind a cellphone screen or a camera lens. Photographing the eclipse is hard, and you’ll only have about 2.5 minutes of this spectacle. Leave the professional images to the professionals. You may not get the chance to stand in the moon’s shadow again.